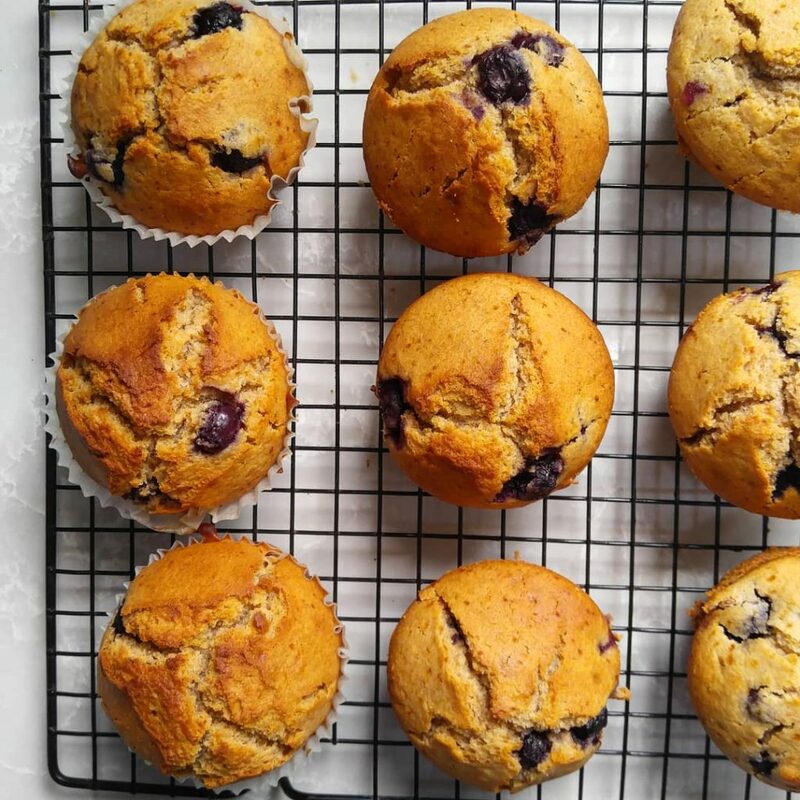 Healthy Blueberry Muffins - No Way That's Healthy! These healthy blueberry muffins are the perfect grab and go breakfast or after school snack. I made these for my kids and ended up enjoying them just as much as they did! You can customize it with other fruits, chocolate chips, nuts…Go wild! Whisk together the egg, vanilla, maple syrup, milk and oil. Then add in the flour, baking powder and salt. Mix till combined and add in blueberries. Pour into a greased muffin pan. Bake at 350F for 15-20 minutes.Enjoy!